Immediately following the NASCAR season finale at Homestead-Miami Speedway (Fla.), it’s time for drivers, crew members and fans to take a break and catch their breath until next year’s Daytona 500. After 10 months of nonstop racing you think the NASCAR world would go on quite the vacation, right? Wrong. NASCAR’s off-season – better known as “silly season” – is one of the racing community’s craziest, most stressful times of the year. It’s the time when drivers are on the hunt for a ride, teams pursue and compete for sponsorship money, and crew members search for next year’s job. Every silly season has certainly resulted in unexpected change-ups between drivers, teams and crew members, but none have compared to this year’s shocking scramble of NASCAR talent amongst some of the sport’s top teams. From crew chief shifts to race team closures, this silly season has the 2012 NASCAR garage looking like a completely different series. Many NASCAR fans who have followed the sport throughout the last decade have probably found it hard to forget the days when Tony Stewart was wheeling that bright orange Home Depot Chevrolet while crew chief Greg Zipadelli sat atop the Joe Gibbs Racing (JGR) team pit box. Stewart and Zipadelli were NASCAR’s dynamic duo dominating the leader boards in the Sprint Cup Series, taking home two NASCAR Sprint Cup Series Championship titles in 2002 and 2005. When Stewart decided to break off from JGR in 2009 to form his own team – Stewart-Haas Racing – Zipadelli was under contract and could not move with Stewart to the new team. Today, Zipadelli has decided to step down from his crew chief role at JGR to rejoin Stewart as his team’s competition director. As Zipadelli moves into his new home at Stewart-Haas, Danica Patrick also finds herself joining the team for various races throughout the 2012 season – including her Sprint Cup debut in the Daytona 500. Stewart plans to capitalize on Zipadelli’s unmatched experience by pairing the veteran crew chief with novice driver Patrick to hopefully give Zipadelli a chance to come back as crew chief and Patrick the opportunity to strengthen her skills as a stock car racer. Either way you look at it, the fact that Stewart and Zipadelli have united back together under one shop’s roof is sure to intimidate the competition. Not only will Stewart return to the 2012 season as the reigning NASCAR Sprint Cup Series Champion, but he will also have his secret weapon back on board – Zipadelli. Read more about “Zippy’s” move to Stewart-Haas on NASCAR.com here. The 2011 NASCAR season transformed Kurt Busch’s reputation from well-liked racer to snobby, ill-tempered driver. Whether it was flipping the bird to innocent people in the garage or throwing a tantrum with reporter Dr. Jerry Punch at Homestead (Fla.) (Watch YouTube Clip Here), Busch lost any hope of earning a NASCAR championship and instead earned himself the title of hotheaded punk. It’s fair to say his behavior on and off the track was a public relations practitioner’s nightmare. His unruly behavior not only drove away fan approval, but it also halted his Penske team’s support. With the 2011 NASCAR season in their rear-view, the two decided to part ways (whether it was a mutual agreement or firing situation is still speculated). Immediately following the team’s announcement, Busch dedicated his entire website’s homepage to his feelings and sentiments about the split. He explained his own personal reasons for severing ties with Penske, including the fact that he “needed to put the fun back in racing” and that it was time to “take a deep breath and work on things that can make me a better driver and person.” Although it seemed like these were legitimate reasons for a mutual split, it’s hard to forget the fact that Busch did a terrible job representing the Penske name in the 2011 season. In the end, Penske had every reason to reevaluate their partnership with Busch while looking to devote their resources to a more deserving and respectful driver. For a closer look at the details of the break-up between Penske and Busch, click the following link. 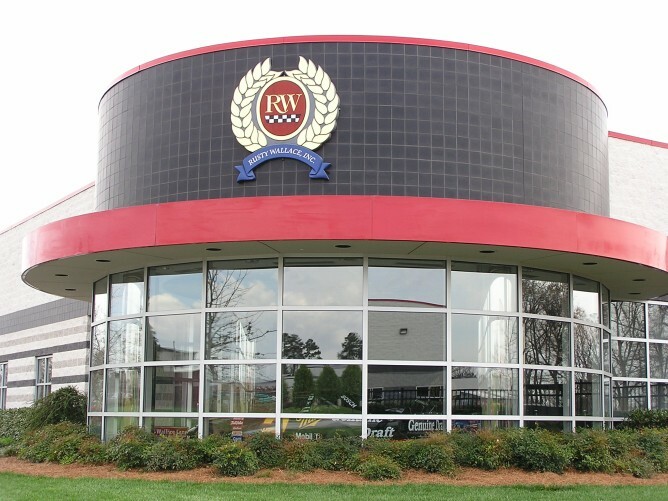 The Wallace family name has always been synonymous with stock car racing. Rusty Wallace has been an active participant in the sport for more than 30 years whether it has been on or off the racetrack. Not only is Wallace a former NASCAR Sprint Cup Series champion, but he is also a NASCAR Nationwide Series team owner fielding young drivers like Michael Annett and his own son, Steve Wallace. The team has seen great success since its inception, and has shown great promise for growth in the Nationwide Series. You can imagine then why RWR’s announcement on January 6, 2012, rocked the racing community when it revealed that the team’s “on-track activities” would be put “on temporary hiatus” for the upcoming season (For RWR’s official release, follow this link). Similar to many teams in the sport, sponsorship money has become extremely hard to come by, and it has forced many drivers and teams to put their racing careers on hold. No one wants to compete in equipment that doesn’t match up to NASCAR’s frontrunners, however that calls for a large sum of money to even have a shot. While Wallace admits to having some sponsorship funding, his decision to halt RWR’s racing operations was for this exact reason – why show up to race if we know we don’t have what it takes to win? It’s a question many teams are faced with as they approach the 2012 season. Some teams will show up with the crew, equipment and driver it takes to win, while others will be there just to start a race while trying to make a name for themselves.